The debate over Barry Bonds' Hall Of Fame induction is still a couple years away, but at least Major League Baseball can finally lay claim to the large-headed slugger's historic, controversial home run ball for posterity. 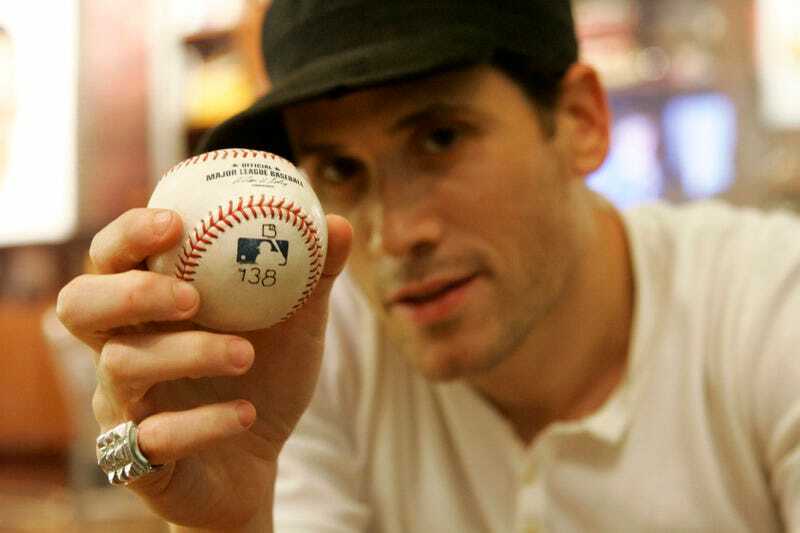 Designer Marc Ecko paid a whopping $752,467 for the ball at an auction last September, branded it with an asterisk in a show of artsy-fartsy protest, and then held it hostage from the Hall to continue his bratty little stand-off. Finally, he relented, and officially donated the ball to the Hall of Fame. However, Bonds has said he would "boycott" the Hall of Fame if it displayed the marked ball. Maybe Hall officials see this as a best of both worlds-type situation. Besides, can Barry boycott anything if he's in prison?